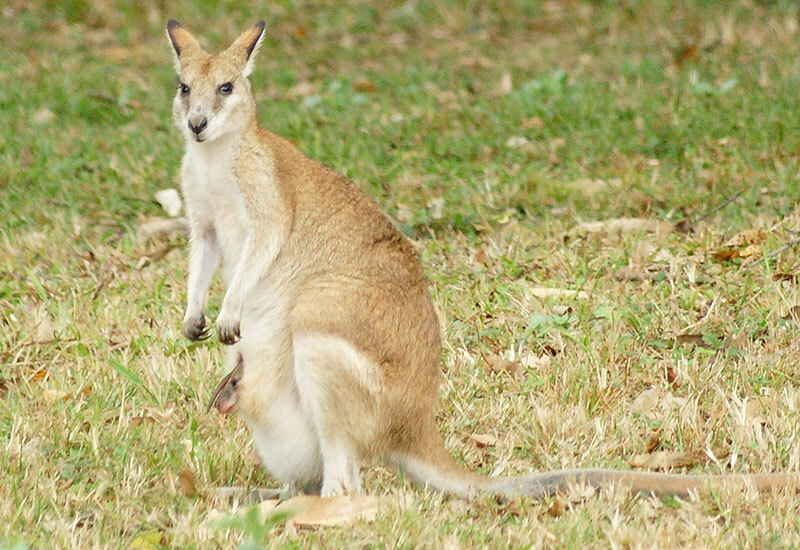 Your wildlife Tour starts in the southern suburbs of Cairns where a mob of Agile Wallaby’s lives within the city. 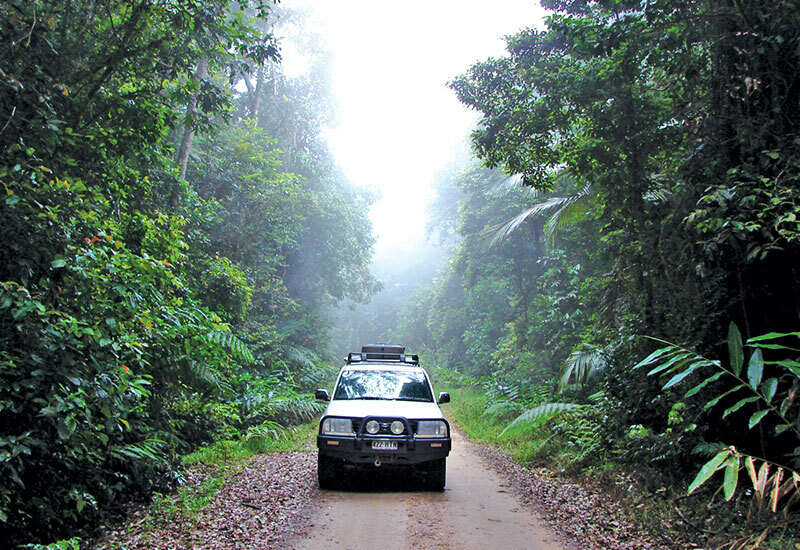 Drive up the scenic Gillies Range to the Cairns Tablelands. Climbing up to 800 metres above sea level this is one of Australia’s windiest roads. 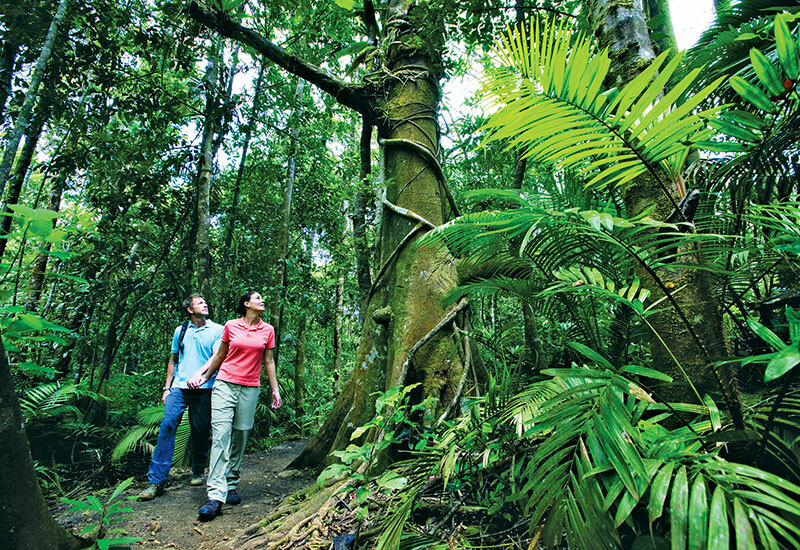 Stop in the Danbulla State Forest to observe a fascinating 800-year-old, Cathedral Fig Tree with a giant root system. Afternoon tea at Lake Barrine, a volcanic crater lake nestled amongst rainforest followed by a walk through the rainforest to see the towering Twin Bull Kauri Pines. 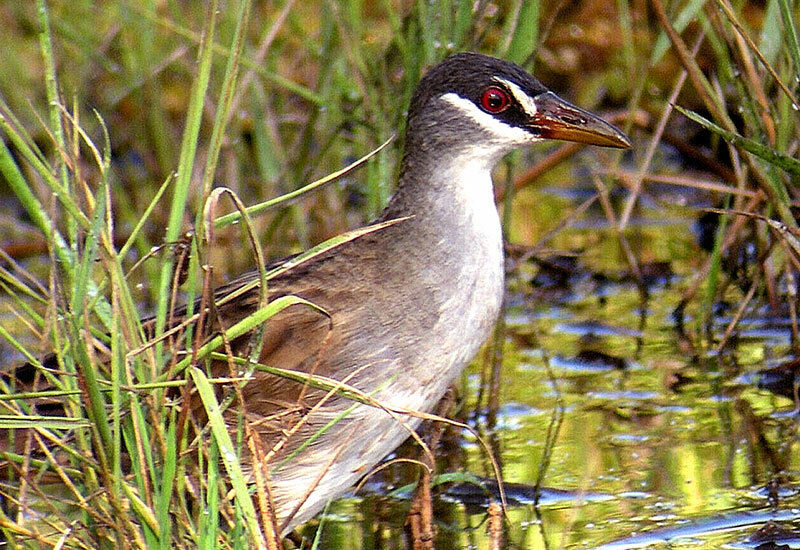 Stop at Lake Eacham, an extinct volcanic lake to look for Saw Shelled Turtles, Archerfish and Eastern Water Dragons. 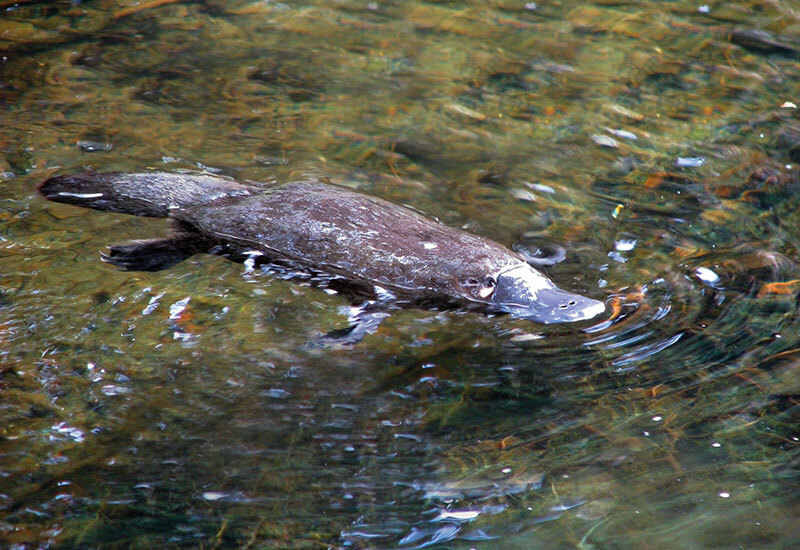 Head to our private access viewing area to catch sight of an active breeding pair of Platypus. Enjoy dinner at a country restaurant in Yungaburra. Coffee, tea or hot chocolate provided (other drinks also available at your own expense). 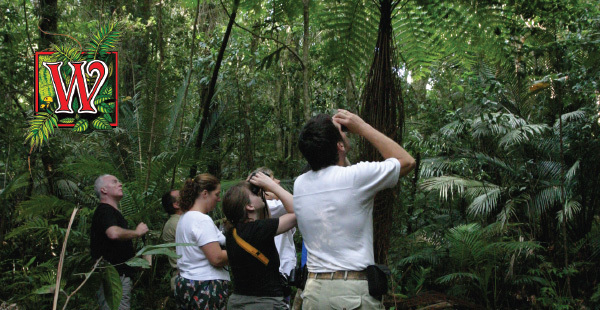 After dark and armed with a flashlight for our spotlighting, we then head back to the rainforest where the huge Curtain Fig Tree plays host to various species of nocturnal wildlife. 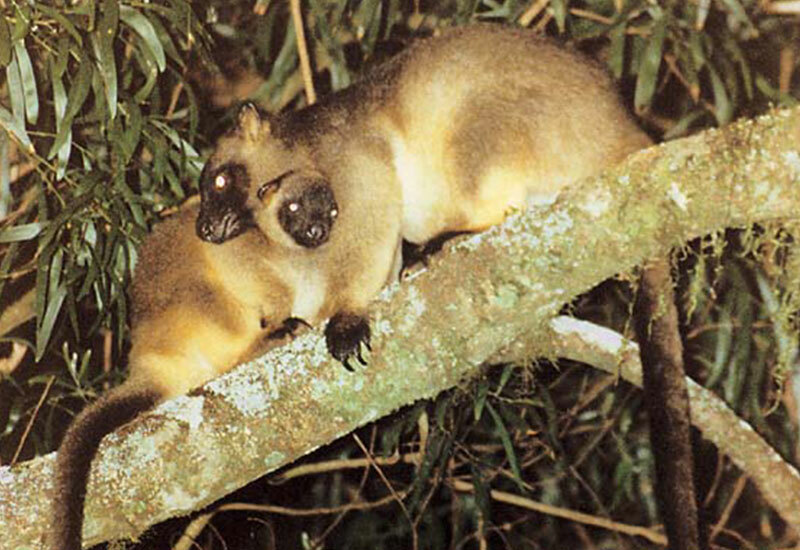 Approximately 80% of Australian animals are nocturnal or active at night, so the rainforest is a hive of activity after dark. On clear nights, the minimal light pollution also allows star spotters to enjoy taking in the Southern Cross and Milky Way. The tour ends in Cairns at around 2200 (2300 for Northern Beaches) where you will be dropped off at your hotel or other accommodation. • After lunch Pick up from a Cairns City Hotel. • No extra charges like National park fees, fuel levies, insurances, and surcharges. 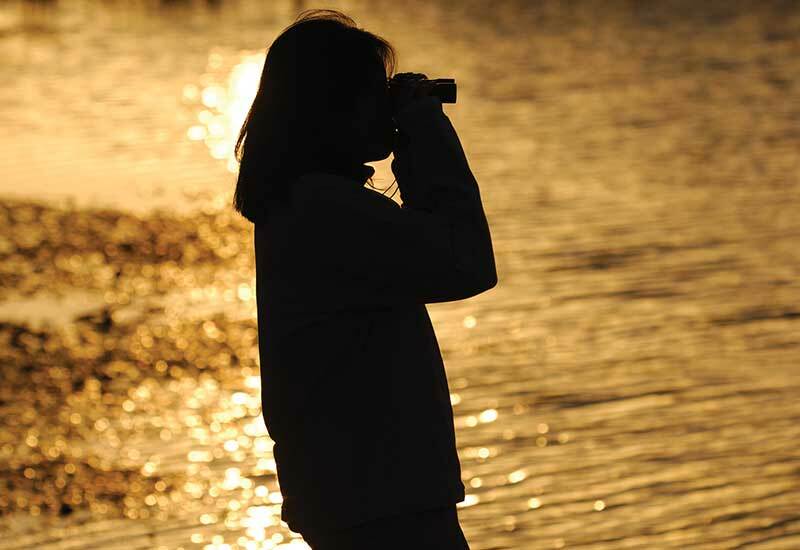 Includes pick up and drop off at Cairns and Northern Beaches accommodation, Port Douglas extra pick up and drop off charge, afternoon tea and evening meal, use of binoculars, reference material and wet weather gear. Please note: Port Douglas Pick Ups (Oak Beach, Turtle Cove, Thalla Beach) $100 extra per booking (1-11 people) for pick up and drop off. Pick ups for Cairns between 13:30 and 14:00, Northern Beaches 13:00-13:15, Port Douglas 12:15-12:30.